Before I begin, I sincerely hope that everyone reading this enjoyed a pleasant summer holiday! Maybe you even had a chance you discover some films or music that you really loved? We’d love to fill the culture section with some of your own opinions, so feel free to email us! In addition, I’ve decided to make a few adjustments to my termly recommendations (including a jazzier title which is concurrently a Bowie reference) to make up for my neglectful behaviour during exam time. The main change I’ve decided to implement is the removal of my recently listening habits in exchange for a termly piece on something relevant (e.g. deaths, awards etc.). I will also include a brief review on any gigs I managed to attend between articles. After several online recommendations to check out My Bloody Valentine, I decided to check out their album ‘Loveless’ this summer, after hearing incredible reviews for it on social media and in magazines such as NME. Released in 1991 by the Irish indie/shoegaze band, the album found itself wrongly overlooked by critics due to the success of other classics such as Nirvana’s ‘Nevermind’. However, in recent years, the album has gained a cult status and overwhelming appreciation from critics. When I listened to the album’s opening track, ‘Only Shallow’, I was struck by how raw and edgy it sounded. 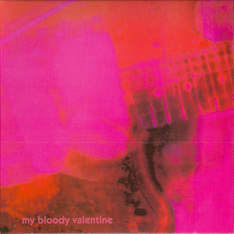 The song begins with a ferocious drum beat, immediately preceded by the unearthly sound of Kevin Shields’ experimental riff for the song’s instrumental chorus, known as the "glide guitar" technique, which he explained in a 1992 Guitar World interview as "just two amps facing each other, with tremolo. And the tremolo on each amp is set to a different rate. There's a mic between the two amps. I did a couple of overdubs of that, then I reversed it and played it backwards into a sampler. I put them on top of each other so they kind of merged in." It is the glide guitar that features so heavily in each of the album’s tracks, although each track has its own experimental technique of capturing the heavy distortion, ensuring that every song has its own distinct sound. The meticulousness of Shields while he tried to capture each of these unique riffs in order to create his idea of the perfect album nearly bankrupted Creation Records. Over the course of three years, Shields went through dozens of engineers and set up shop in nineteen different studios in an attempt to craft the perfection, resulting in the label owner having to re-mortgage his own house. The excess of the album’s production was worth it. With the introduction of the distorted glide guitar juxtaposed with pretty acoustic tunes, Bilinda Butcher’s heavenly vocals, dreamy yet provocative lyrics and enigmatic synth work from the rest of the band, the album receives its perfect quality. The heaviness blended with the superlative beauty is like an angel falling into a deep hole, and, in a way, encapsulates what emotion actually feels like in an album. Perhaps the most famous track from the album, ‘Sometimes’ is the track that sums up the record most. The entire album revolves around deep ruminations on love and human emotion - I promise you, it really is not emo/goth music – and no track does this better than ‘Sometimes’. Painfully beautiful lyrics are sung by both both Butcher and Shields, creating a harmony to match the acoustic work on the track. This is all simultaneous to a raw, heavy electric riff that really creates the desired sound that Shields wanted. In several interviews, he has explained how the track and the entire album entirely condense how love feels for him - and, evidently, his many fans. The beauty of the track is concocted with the painful, unstable and, in areas, uncomfortable glide guitar work. Loveless is probably the least mainstream album I will ever share on this termly article. It is very heavy and can often be mistaken for another ‘emo’ album, despite it being labelled as ‘shoegaze indie’ by My Bloody Valentine themselves. The genre classification matters very little: the album is beautiful and should be experienced by everyone at some point, no matter the kind of music they identify with, as good music always transcends the selected taste that people confront themselves with. Another discovery I made this summer was that of Wim Wender’s Palme D’or winning ‘Paris, Texas’, a thoroughly moving and beautiful film. The film follows the late Harry Dean Stanton as Travis, the film’s main character. It becomes apparent from the beginning that Travis has been wondering the American desert for four years, his whereabouts and condition unbeknownst to his brother Walt. When Walt receives a call which informs him that his brother has been discovered, he drives across the country to retrieve his brother and his rather uncivilised customs, returning him to his son whom Walt has been looking after and last seen by Travis four years ago, before his disappearance. As Travis begins to connect with his son, his melancholically beautiful story of what happened between him and the mother of his son begin to unfold while his son and he set out to find her. It is difficult to describe how brilliant a film is without ruining it. Travis’s story is one tinged with happiness and tumultuous sadness. The plot follows many emotional themes. We see the importance and reconnection of family portrayed; the obsessive and destructive nature of love; the capitalisation of America’s great deserts and towns, and how beauty is therefore destroyed and created; themes of mental health; what happiness really feels like and even the meaning of life itself. Despite such deep themes and the film’s slow pace of storytelling, it does not once feel boring. The cinematography captured in every frame is evidence of filmmaking at its finest. The beauty of nature is portrayed alongside a rumination of how the American dream has ruined its country and encapsulated in the composition and colour scheme. The pastel colours of every sunset and vibrant images of neon motels and bars that engulf the screen in colour create symbolism of loneliness; love; acceptance, shared values and also happiness. The film’s costume design has a similar effect. The score by Ry Cooder also compliments every moment that it is present in. A soft, traditional American arrangement of strings is used throughout to deliver emotion and meaning to scenes already so full of it. yet capture each character’s regret, pain, happiness and loneliness perfectly. Stanton’s performance in particular carries some of the film’s most important themes. Often cited as one of the most subtly expressive actors of all time, he manages to deliver an indescribably convincing performance, communicating different emotions simultaneously throughout. We see his character extremely lost and isolated at the beginning, and he slowly transforms from desolate, to happily purposeful, and finally melancholically content by the end, provoking thoughts and emotions from the audience through his superb acting. All in all, the film is a stunning visual poem on the destructive and obsessive, yet resplendent, nature of love between both family and partner that transcends boundaries. Visually and audibly dazzling, with superb acting a direction, this a film that every person must see before they die. It must be said that I spent a considerable amount of this summer lying in bed, mourning the fact that I failed to book any festivals. Thankfully, I did manage to book and even attend a few gigs. Following the launch of the successful new album ‘Scum’, Rat Boy – the 4-piece punk-rap group fronted by Jordan Candy - came a series of in-store record signings and performances. A select number of fans crammed into Brighton’s Resident Vinyl to see a stripped-back performance which included a few of their most memorable singles. Following this, I was able to meet all four members of the group who signed a copy of the album on vinyl. Although we weren’t treated to a complete rendition of the new album, it was great to add a few more signatures to the collection. Lastly, during this term, I went to see Sundara Karma at the 02 Academy Brixton (with The Magic Gang as the support act). Much to the awe of the band, they played in front of their biggest live crowd to date: almost 2,000 people filled up London’s most popular indie music venue, creating an exciting atmosphere for both band and audience. After a harrowing walk through the centre of Brixton, I arrived at the venue: a large, dome-like structure where the stage proceeds a long slope where the audience are meant to stand. Sundara Karma’s set design was impressive: it involved three large circles in the centre of the stage’s background, changing colour vibrantly throughout the show. The band put on an impressive performance and sounded brilliant live, enthralling the large audience in a continuous bout of moshing. Although Sundara Karma don’t appear to have developed an overwhelmingly original image or sound for their first album, they have some incredibly catchy choruses (sounding even better when being sung passionately from a live set) which, in my opinion, make them a band that should certainly be seen live if given the chance. This was by far the best gig that I had the pleasure to attend during the summer period, despite the fact that I found myself drenched in beer after half an hour due to an over-aggressive mosh.